Lucky album thirteen… it didn’t turn out that way, did it? For their new rebirth from a Chrysalis, a new design palette was secured by Toorkwaz, a design group that was briefly active in album design from 1997-2001, with a handful of credits to their name. If I recall, the 1st generation simpleminds.com was also their handiwork. From what I can remember of the Flash-based monstrosity, I like their album design much better. It’s a clean, modern, metallic look that sees sans serif fonts back where they belong. The use of metallic, aluminum inks next to saturated, almost tropical colors was an inspired choice, I felt. 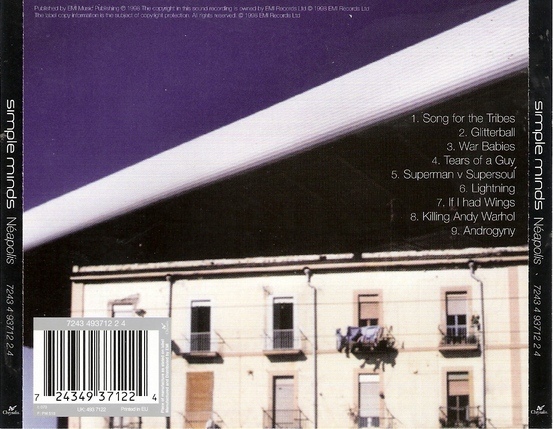 What has me intrigued about the back cover of the standard UK CD was the apartment photo above. Before ten minutes ago, I had never seen it before. I can’t quite reconcile what it has to do with the rest of the design, which seems to fit the music a whole lot more. The thrust of the booklet design, in comparison, works like a charm, yes? At the time, I opted for the limited edition CD in an embossed tin with the video for “Glitterball” appended to it as an enhanced CD. 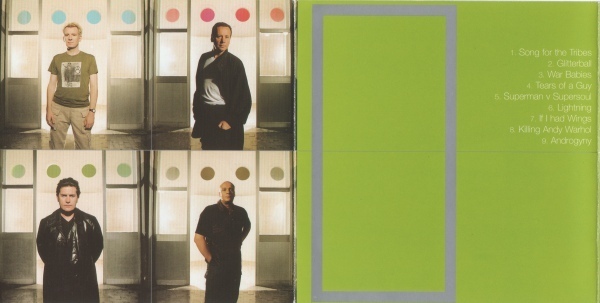 The booklet accompanied the acid green disc in the tim along with the standard multimedia instructions/disclaimer of the day. The strange apartment image was nowhere to be seen in this more cohesive package. 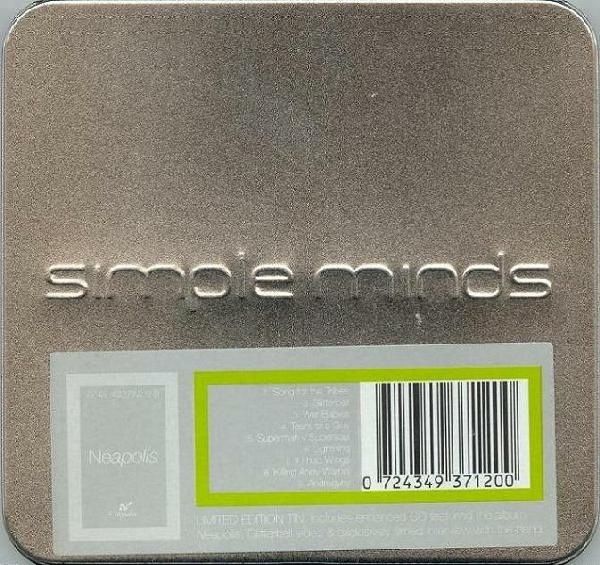 This was another “lucky” album for Simple Minds in that not only did it kill their decade long run in the #1 or #2 slot of the UK album charts [this manages a lowly #18 in comparison], but this was the first Simple Minds album since 1982 not to have a US release at all. In any case, there were some further unique variations, since Chrysalis wanted their money’s worth, but we know how that turned out. 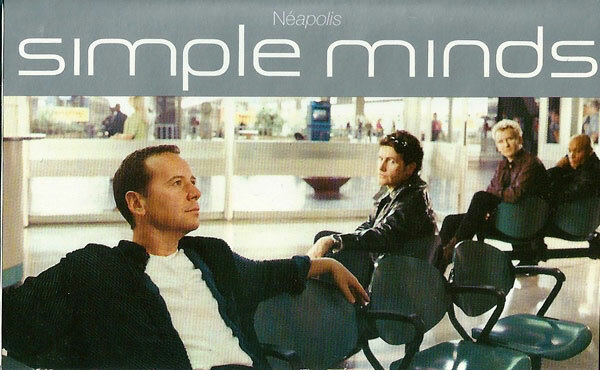 This promotional edition contained the full “Néapolis” album in a cardboard sleeve with the uncropped photo of the band in what appeared to be an Italian bus station, along with a second interview CD. 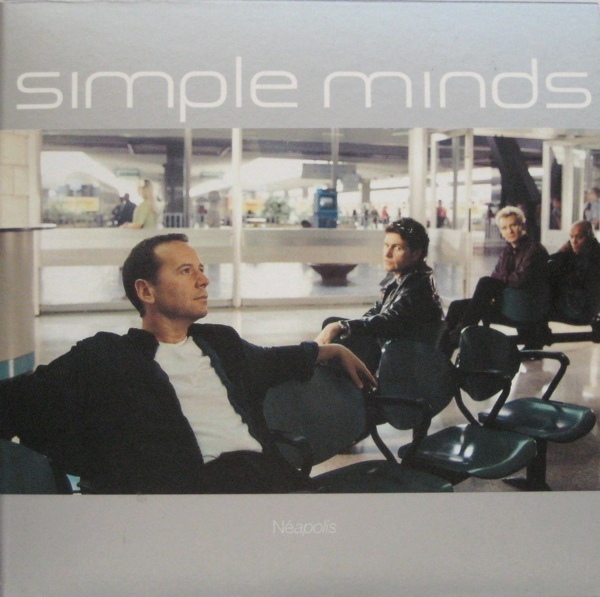 This was also the first [but not the last] Simple Minds album not to ever be issued in LP form. At any time. Any where. So with that in mind, the cassette, which was only issued in Europe, tosses us a bone of sorts and paints a poignant picture of the era when the CD was king. The LP and almost the ubiquitous cassette had been vanquished by 1998. The CD’s time at the top of the music media format heap would prove to be short lived, but that’s another story for another day. There was one more variant of interest as we turned our eyes Eastward. 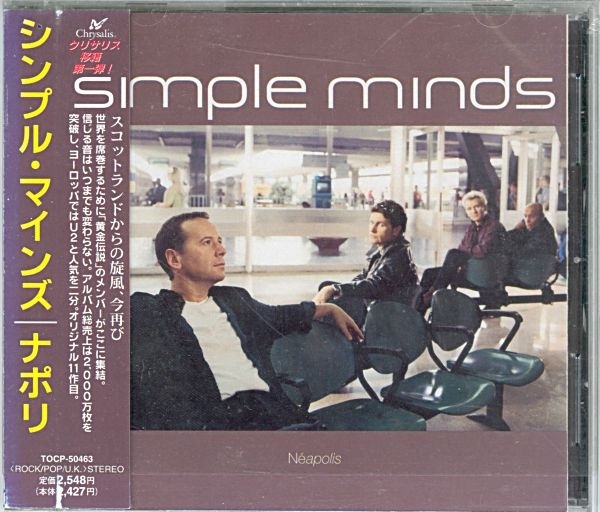 This entry was posted in Core Collection, Scots Rock and tagged 1988, cover art, Neapolis, Simple Minds. Bookmark the permalink.